When former Opel CEO Hans Demant jumped to archrival Volkswagen AG last month, it hit some at General Motors Co.'s German subsidiary like a punch in the gut. "It surprised everyone," said a source at Opel's Ruesselsheim headquarters. "Volkswagen, of all places! That's the amazing part." A senior union representative was more blunt. "Demant always communicated to you that he was very tied to the brand emotionally," the source said. "Now he just goes over to VW and easily wipes that away." 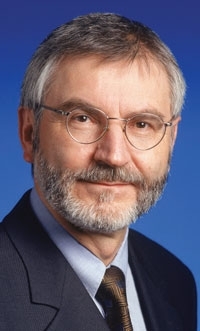 Demant, 59, spent 38 years at Opel, mostly in product development. On Oct. 1 he will begin coordinating international projects at VW Group. Demant held the top job from 2004 through late 2009, when he was replaced by Nick Reilly. In January he was named GM's head of intellectual-property rights. Sources point out that he knows Opel's product plans and has detailed knowledge of its important patents. Opel won't comment. Critics say Opel should have been able to prevent Demant from jumping directly to Opel's main rival. Senior executives in Germany normally must wait months before they can join a competitor. Ex-GM Europe chief Carl-Peter Forster sat tight for several months before he could start at India's Tata Group this year. In 2000, Forster left BMW for Opel but had to wait nearly a year before he could join the company. Demant had been subject to a similar noncompete clause -- but not after he left the CEO job.